Micro Acupuncture was developed by Dr. Andy Freddy Dahlgren in 1984 in Denmark. It is a procedure to treat medically diagnosed degenerative diseases of the eyes with acupuncture. Dr. Dahlgren, assisted by Dr. Per Otte discovered that there are 48 acupuncture points in the hands and feet that are not associated with other known acupuncture points that will benefit and improve vision in people who have macular degeneration, diabetic retinopathy, glaucoma, retinitis pigmentosa, retinal detachment, Stargardt’s disease, cataracts, optic neuritis, color blindness, etc. When Dr. Dahlgren and Dr. Otte begin experimenting with this new acupuncture protocol, they expected to be treating the whole body and not exclusively the eyes. But to their surprise every single patient reported seeing much brighter and clearer. So they refined treatment protocols for different eye conditions. There are currently only a few practitioners throughout the world that are performing this procedure. Treatments of Micro Acupuncture are performed by Ricardo Molczadzki, Lic. Ac. at Three Treasures in Haiku, Maui, Hawaii. Throughout Europe there have been over 5,000 people treated with this method. In the United States twice as much people have been treated, and 90 percent have reported that they experienced a definite improvement in vision, along with a slowing or stopping of eye degeneration. 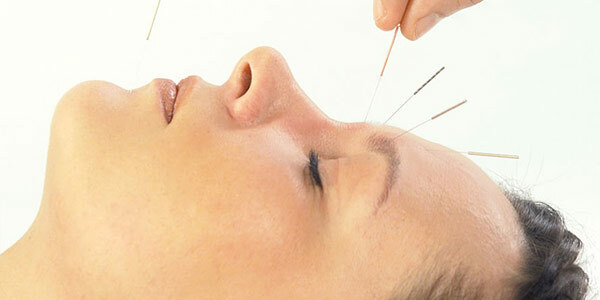 With a micro acupuncture treatment you will improve your vision. Some people will notice eyesight improvement after a couple of days, while others require repeated treatments. In all, around 90 percent of people who have had Micro Acupuncture report that the procedure met their expectations for improved vision. The other 10% had not experienced a remarked improvement, but a halt of the condition; that is in itself a positive outcome. The initial treatment begins by performing a Visual Field Test. The computer will map the vision field of the patient; as you can see below. Dark colors represent seriously limited vision, yellow represent clear vision. The visual field test below represents the positive progression after only two weeks of Micro Acupuncture therapy. The Micro Acupuncture protocol involves five 30 minutes treatments in one day, with pause in between them. The actual therapy is the doctor placing acupuncture needles on points of the hands and feet. The total number of treatments required will depend on the patient; the age of the patient and the length of time they have had a degenerative eye disease, along with the severity of the disease are all factors that determine how many treatments will be required. The average patient starts with a 1 weeks treatment with 5 sessions per day, and more are scheduled when patients want to maximize results in one block of treatment. For lasting best results I recommend that patients have to come once a year for more treatments. Most patients find that one week of treatment will result in visual improvements that last for six months, while two weeks of treatments can last for up to a year. Doctors suggest that as soon as the patient notices that the vision is decreasing they should schedule more treatments. While Micro Acupuncture is a steady process to improve the eyesight, it will slow down aging of the vision’s degenerative diseases. Micro Acupuncture works at best when supported with the proper diet, supplements that support eye health such as vitamin A, exercise and managing stress. Micro Acupuncture patients must be diligent in getting the necessary treatments, and be patient when assessing the results. It is a viable alternative cure to managing degenerative eye diseases. You could combine a beautiful relaxing vacation on Maui with a nurturing retreat for your eyes. We can also design for you a holistic program with nourishing and detoxifying meals, eye yoga exercises and massage. We will include a customized herbal treatment for your condition. Dr. Ricardo Molczadzki of Three Treasures is an acupuncturist who has advanced his training to support major vision disorders. Please network this far & wide to friends and family. The Micro Acupuncture Protocol can offer hope to those who have serious vision challenges. People will be traveling from all over the world to seek out this unique protocol. Traditional Chinese Medicine and advances in very specialized acupuncture protocols could offer hope and improve vision. Dr. Ricardo Molczadzki now offers his services at his Three Treasure Clinic in Haiku, Maui, Hawaii. I would also suggest this protocol as a preventative measure. I am also suggesting that you take the time to visit your local optometrist and have a complete check up. Many vision disorders are growing at an exponential & alarming rate. It could sneak up on you and then it's 5th gear speed to recover any loss which can advance quite silently before you realize it. If you or anyone you know has mentioned that vision is 'failing' , take note and bust a move to check it out. We take our amazing eyes for granted.. my research is far reaching and I send this out from my heart to yours. My own experience with Dr. Ricardo is amazing and improving my eyesight from his treatment. The BEFORE vs. AFTER Vision Field Test, had the technician reply : "WOW" , total blind spots in my retina disappeared. Regaining more vision ... something that traditional Ophthalmology couldn't offer me. Keep in mind Dr. Ricardo and Three Treasures Clinic, just in case you or someone you know needs support. You could combine a beautiful relaxing vacation on Maui with a nurturing retreat for your eyes. We can also design for you a holistic program with nourishing and detoxifying meals, eye yoga exercises and massage. We will include a customized herbal treatment for your condition.